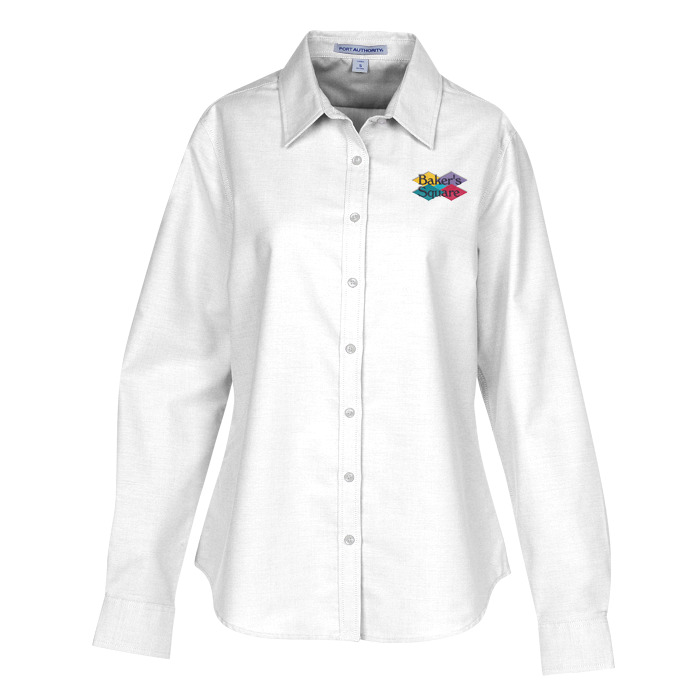 Your promotion is sure to be noticed on this custom shirt! 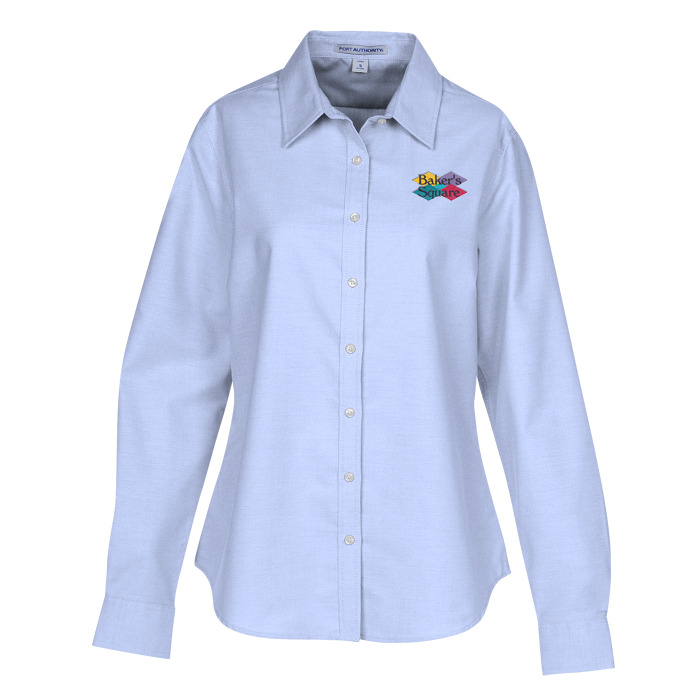 This long-sleeve Port Authority® shirt is made of a 4.6-oz blend of 60/40 cotton/polyester. Fabric has a wrinkle-resistant and stain release finish. 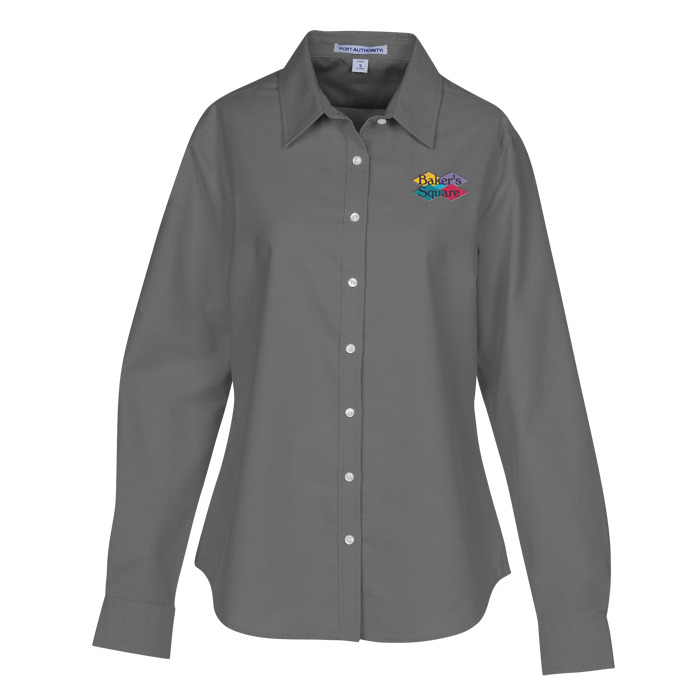 Complete with an open collar, adjustable cuffs and button-through sleeve plackets. Ladies’ fit is contoured with bust darts and a back yoke with knife pleats for a flattering fit. Please see the other #similar item search 127903 items for more style options and men’s sizes. One-time tape charge: add $35 for fewer than 24 pieces; FREE for 24 or more.